Just how do you approach a final service in the Methodist chapel that has seen 114 years of worship and service in Winston? Yes, it's a time of sadness and regret but it's also a celebration of all that God has done through His church in that village. One might be tempted to think of it in negative terms but that's not how the decision was reached. After long and prayerful consideration the members came to the courageous conclusion that closing the chapel represented the best use of resources. 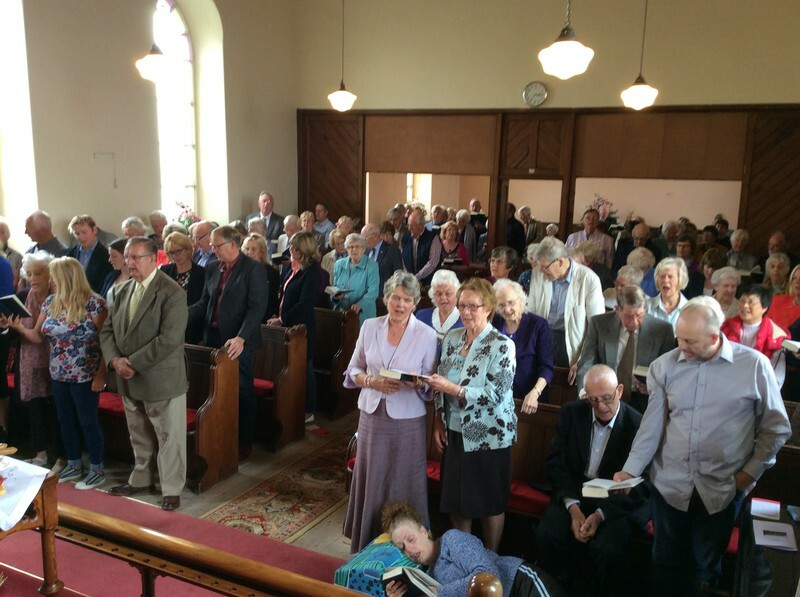 It would have been easy to continue with the chapel as a place of worship but members recognised that the time, energy and finance being used in maintaining the premises were limiting the time available for the roles of learning, caring, service and evangelism that are central to Methodists' calling. Closing the chapel will enable Christians in Winston to continue to serve the community, Methodist and Anglicans together, focusing resources and energy where they are most needed. 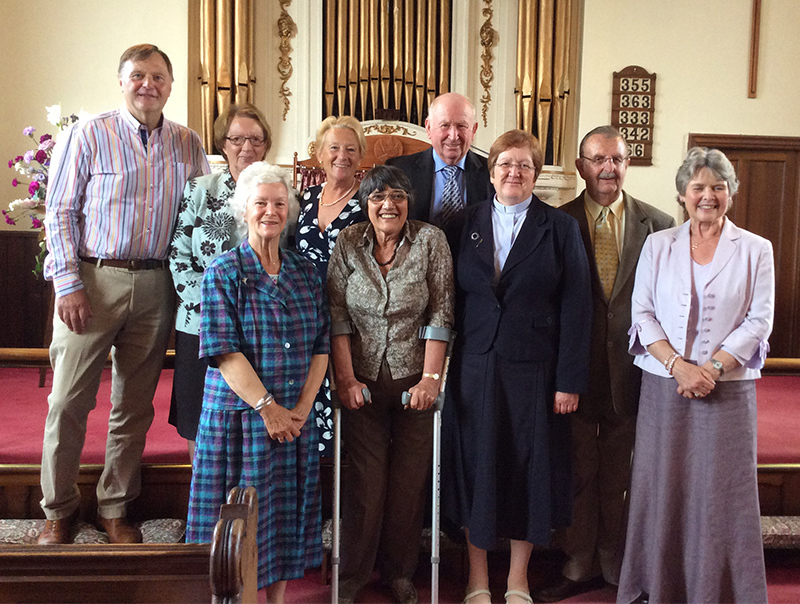 So on Sunday 4th September at 2.30pm the back of the chapel was opened up to extend into the hall and a large congregation gathered together for the entirely appropriate celebration of Harvest. The Rev Beverly Hollings led a reflection on changing times. Winston Chapel opened on 12th September 1902 and in those days it would have been central in the life of the working community for all kinds of social activities and would have played an important role in the education of many village children. Those were the days before the 1944 Education Act and many children learned to read and write in Methodist Sunday Schools. Today Methodists and Anglicans work much more closely together. 13 years ago a covenant was signed between the 2 churches, committing each to this closer relationship and there are plans for close new relationships in Winston. We'll praise him for all that is past, and trust him for all that's to come. Amen to that!